Science. 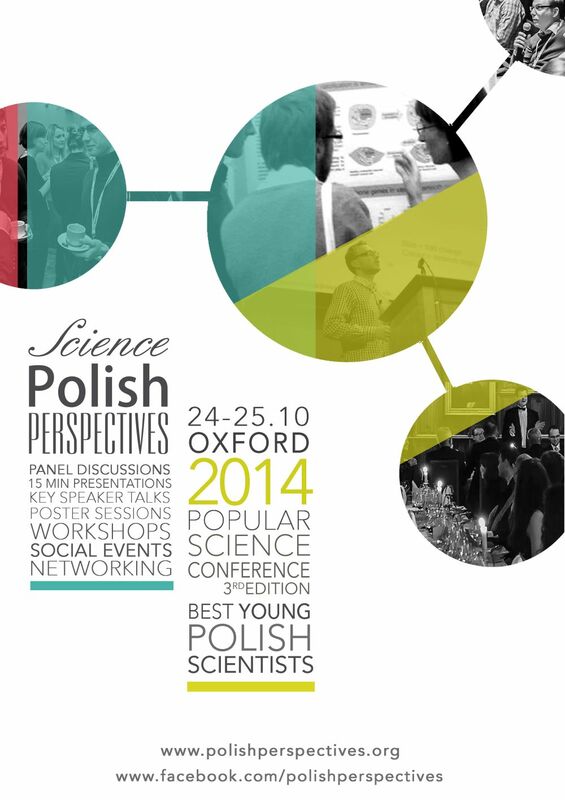 Polish Perspectives is a popular science conference taking place on October 24-25th 2014 in St John’s College, Oxford. It is directed at young scientists of Polish origin, conducting their research at universities and institutes outside of Poland. The participants will have the opportunity to listen to TED-style talks, participate in workshops and panel discussions, and find out about funding opportunities for their research. One of the main aims of Science. Polish Perspectives is to popularise science, whilst also enhancing the cooperation between its British, Polish, European and extra-European branches, as the language of the conference is English. We are honoured to inform you that Lodz Special Economic Zone is the Partner of this year’s conference. To know more about the event, visit www.polishperspectives.org or visit FanPage of the event.